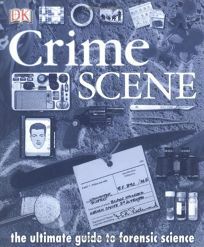 This heavily illustrated but simplistic book takes readers step by step through the stages of criminal investigation, focusing on the ever-developing field of forensic science. In many investigations, Platt writes, forensic science can offer proof""with a level of objectivity and plausibility often lacking in other forms of evidence."" Platt (Secret Worlds: Villains) begins by noting that""everyone is a suspect,"" and that investigators need to keep a healthy skepticism: even confessions don't always mean guilt. Photos show crime scenes (cops making arrests, taking statements, photographing evidence left behind), crime labs (serologists analyzing bodily fluids, forensic anthropologists reconstructing skeletons) and tools of the trade (a crime officer's kit for the good guys,""poisoner's favorites,"" like arsenic and deadly nightshade, for the bad guys). Platt also includes photos of disasters caused by explosives (in Oklahoma City) and plane bombings (Flight 103 over Lockerbie) as well as car wrecks and arson. Economical, even cursory, prose and the blocky layout of the pages give the volume a certain high-school-textbook feel, despite the occasional gory bits. Aimed at the neophyte, this volume offers a good overview of the world of forensics. Color photographs throughout.